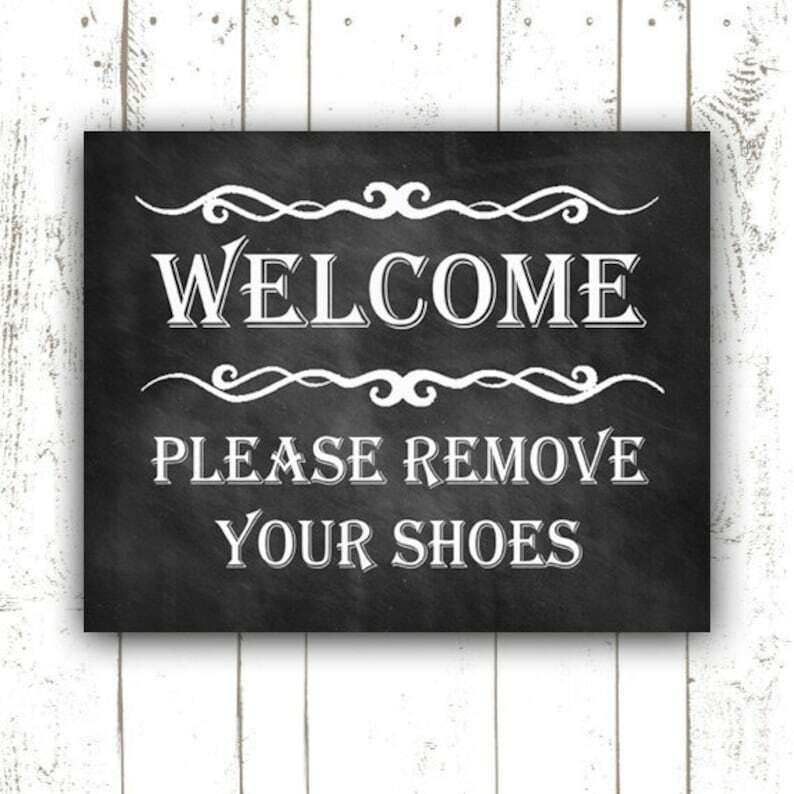 Add this Please Remove Your Shoes Sign to your home to keep the friends in and the dirt out! Great as a housewarming gift. 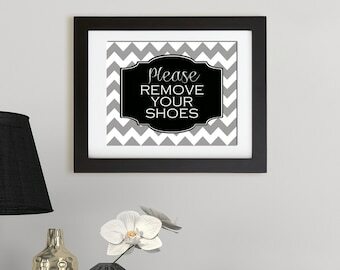 Display it in your entry hall for a cleaner home. This can be printed on your own printer at home for a quick and easy "no shoes" solution!